Retro recipes are always high on the all-time favourites list, no matter where you eat - at home, restaurants, diners, pubs, cafes and coffee shops. There's nothing like a spot of nostalgia to remind you of a special moment in your life. 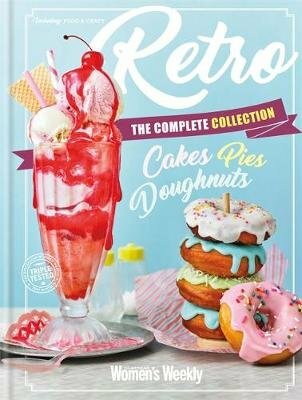 This book is full of such memorable recipes - Scotch Eggs, Duck a l'Orange, and Classic Trifle - as well as recipes with a lighter 21st-Century twist like Black Forest Souffle - alongside iconic advertisements from the 1950s. It's a culinary stroll down memory lane with each turning page.